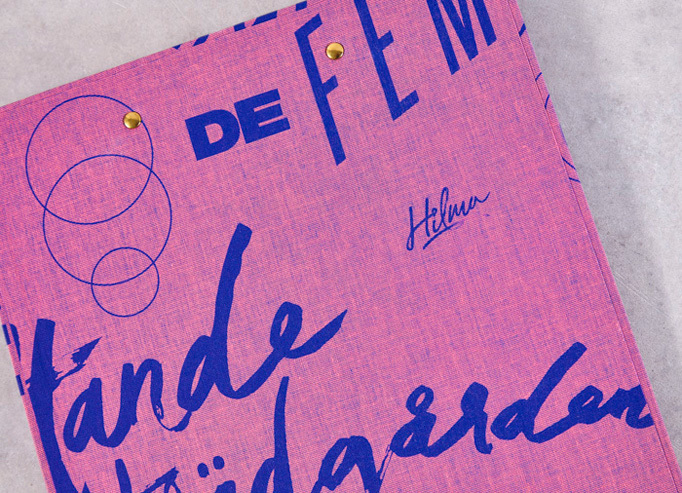 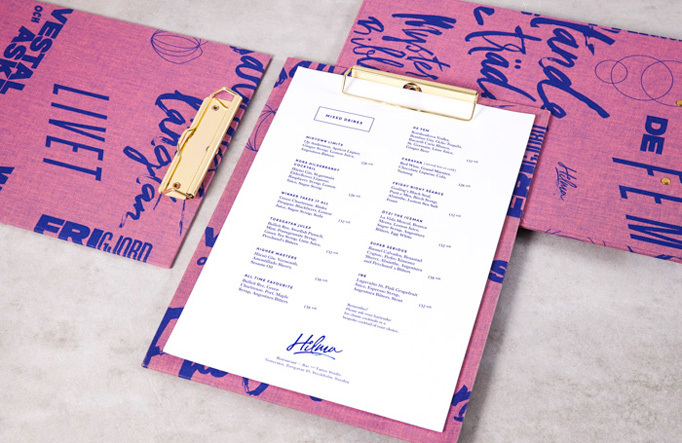 If this menu exudes a punk-rock vibe it’s because Hilma is not just a bar and restaurant but also a tattoo parlor. 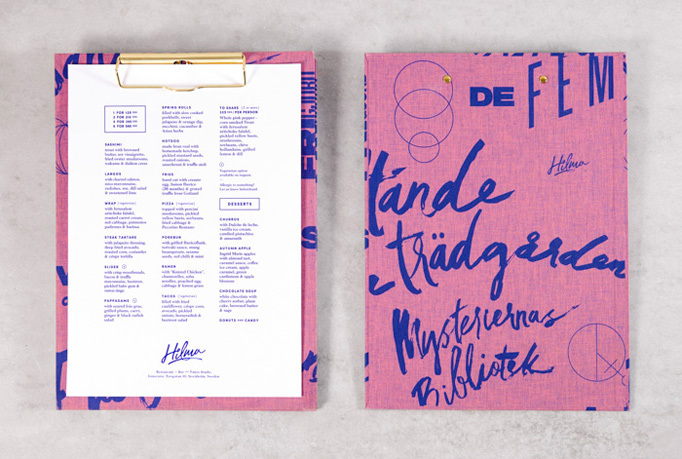 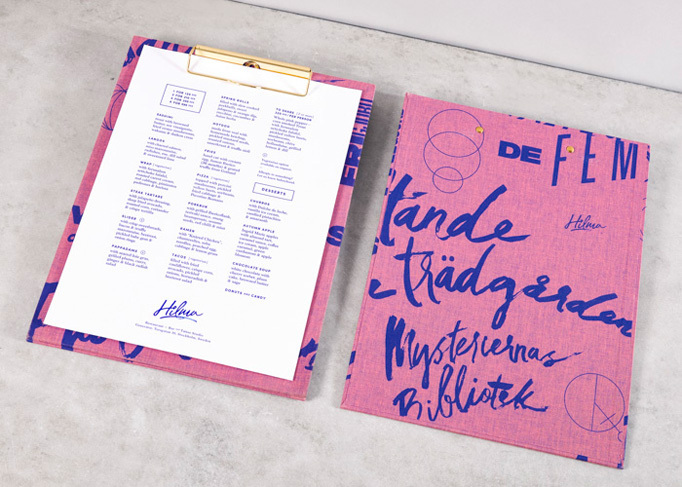 Named after Hilma af Klint (1862 - 1944), a Swedish artist and mystic, the cloth-covered board for the menu features hand-drawn snippets of Hilma’s writing and line-drawing versions of her paintings. 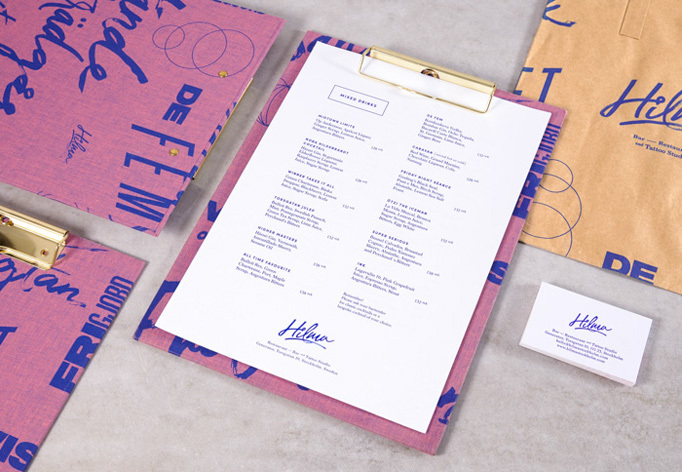 The menu itself, spare in its layout, contrasts nicely against the more expressive holding board.